Only 5 months after Spencer’s launch as a company, all of us at November Five and Spencer are proud to announce that we successfully secured a Series A round investment! Telenet, a leading telco operator and part of Liberty Global Group, will drive the next iteration of Spencer’s strategic growth. We’re extremely proud of this participation with Telenet, and we’re convinced it will take Spencer to the next level. We developed the first iteration of Spencer at November Five, together with BASE Company, before that was taken over by Telenet. Spencer came into Telenet’s sights and that’s how the participation came to be. “We’re a 3,200-strong company, and we ourselves see the need for such a tool,” says Dieter Nieuwdorp, Telenet’s Senior Vice-President Strategy & Corporate Development. For now, Spencer is focusing on companies with more than 2.000 employees, with Telenet, Proximus, and DEME leading the pack. Meanwhile, Spencer has also been selected to present itself at tech and start-up event The Next Web, in Amsterdam on 18 and 19 May.There’s good things in our future…You can read Telenet’s complete press release here. Spencer can count on the support of all its existing shareholders and financial partners, who confirm their trust and belief in the company’s vision. DOTS, Attentia's digital HR and well-being platform, collaborates with Spencer to reach the employees' smartphones in a highly personal and contextual way. 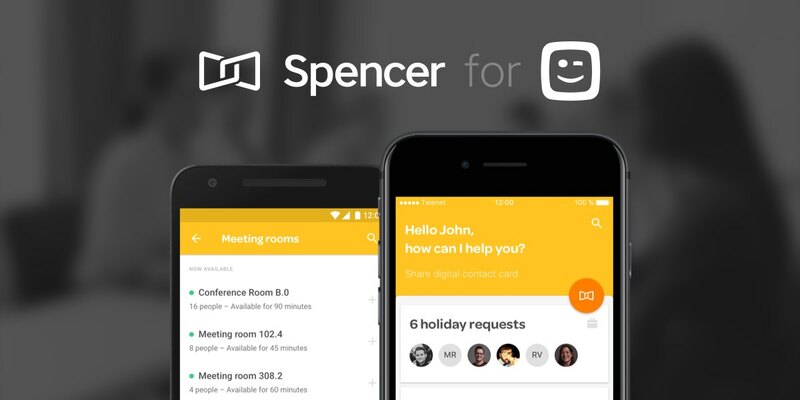 Following high demand from enterprise leaders, Spencer and Microsoft are investing in a tight integration between Office 365 and Spencer’s Mobile Workplace Assistant. Telenet, a leading telco operator and part of Liberty Global Group, will drive the next iteration of Spencer’s strategic growth. We believe a great product should be the first concern of every startup .